A Simple, 12 Volt Strobe. This Article was Created: "December, 21 2014"
Also wanted to have the ability to switch it to Strobe All 4 Channels of the Color Organ. 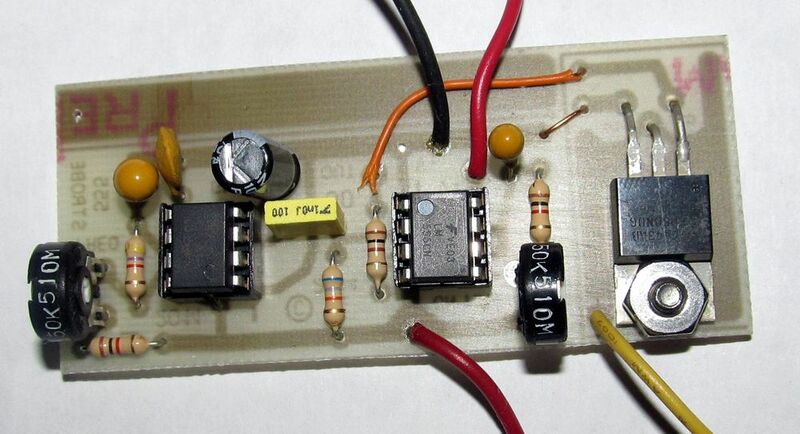 This circuit worked Quite Nicely after I figured out how I could incorporate it into that color organ. 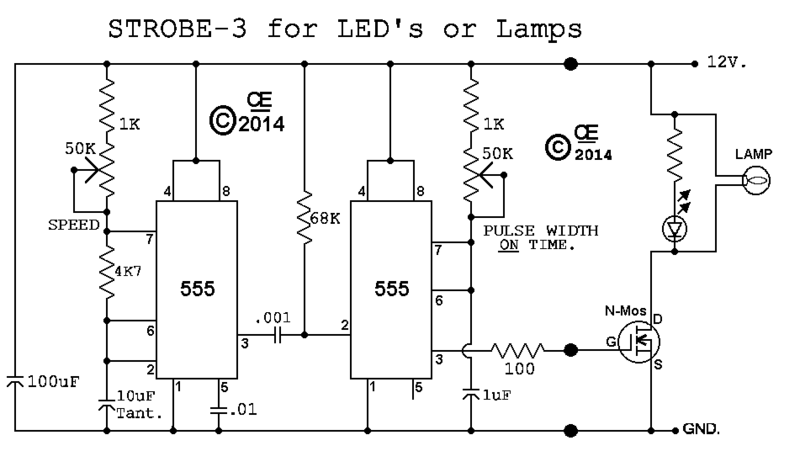 And this circuit with the addition of one Mosfet can provide a Very High Powered Strobe, for a variety of Portable Uses. But changing the capacitor on Pin  2 of either 555 can give different Frequencies or On Times. Shorter On Times are Recommended for Filamant Bulbs when at Faster speeds. Longer On Time can give Super Brightness on LED's. If Needed, The PCB and Parts are Available from me. 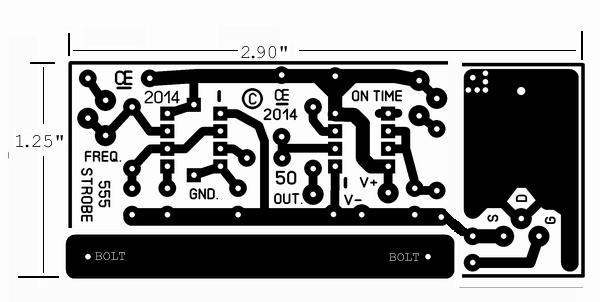 NOTE: I Added the Mosfet on a Seperate Section of PCB, so to give it more versatility.